Certifications — Quality Comm Inc. 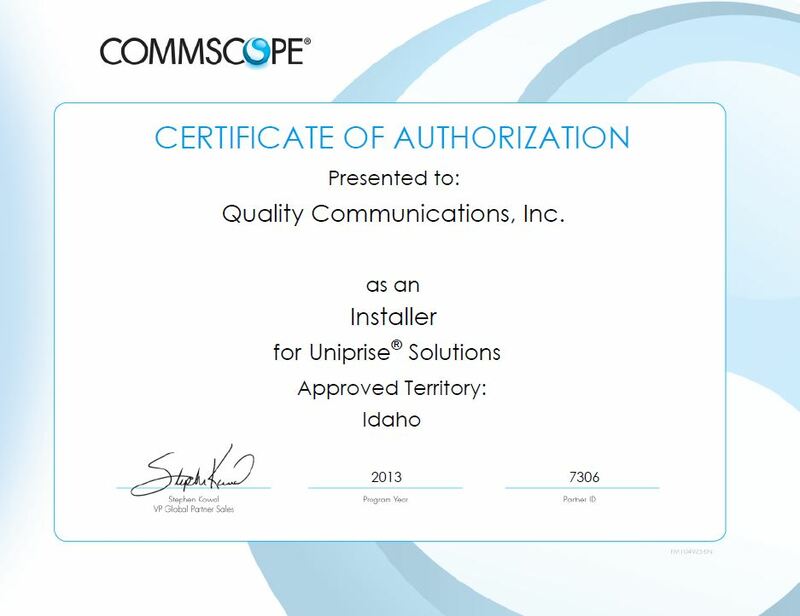 Combined with over 60 years of industry experience Quality Communications has the technical expertise to design, project manage and deal with the day to day logistical issues that come with work performed both in and and out of the State of Idaho. This page will provide our licensing information as well as our expertise and certification.